general » EU Japan Trade Deal: Free Trade Is Not Doomed! EU Japan Trade Deal: Free Trade Is Not Doomed! From February 1st, 2019, the EU and Japan will start to build a large free trade area with about 640 million customers. 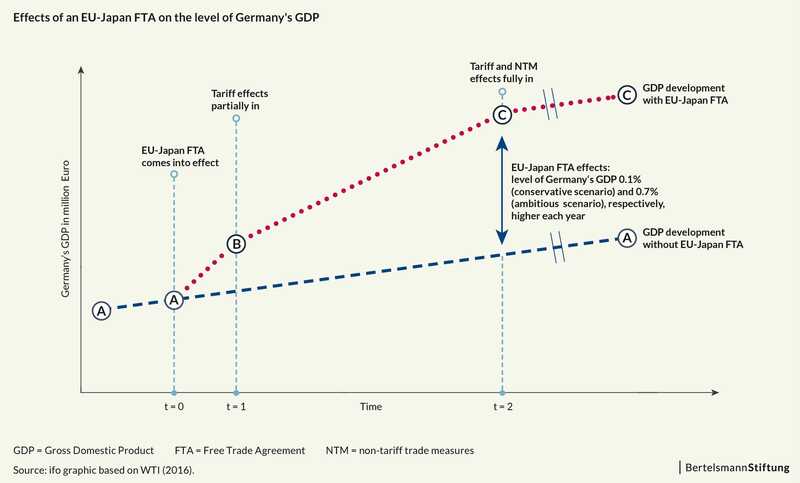 Calculations by the ifo Institute on behalf of Bertelsmann Stiftung show that both sides will benefit from the EU Japan trade deal. Moreover, it is a strong signal that economic cooperation and integration are still possible in times of Trump and Brexit. The EU and Japan, two of the world’s leading trade powers, concluded negotiations on the Japan-EU Free Trade Agreement (JEFTA) in December 2017 after only four years of negotiations. Now, it is about to enter into force. The two economic giants account for one third of world GDP, 16 percent of global trade and one third of global FDI. Japan is the EU’s sixth-largest trade partner in the world. For Japan, the EU occupies third place. The volume of trade between the two countries amounted to around EUR 130 billion in 2017. As shown in our study, we expect JEFTA, which will lower duties and non-tariff barriers on both sides, to further boost trade and investment between the two regions (table 1). Also see our latest Globalization report 2018 and get all insights on who benefits most from globalization. In its specifics, JEFTA appears to be somewhere between the agreement reached between the EU and South Korea and the one between the EU and Canada (CETA). 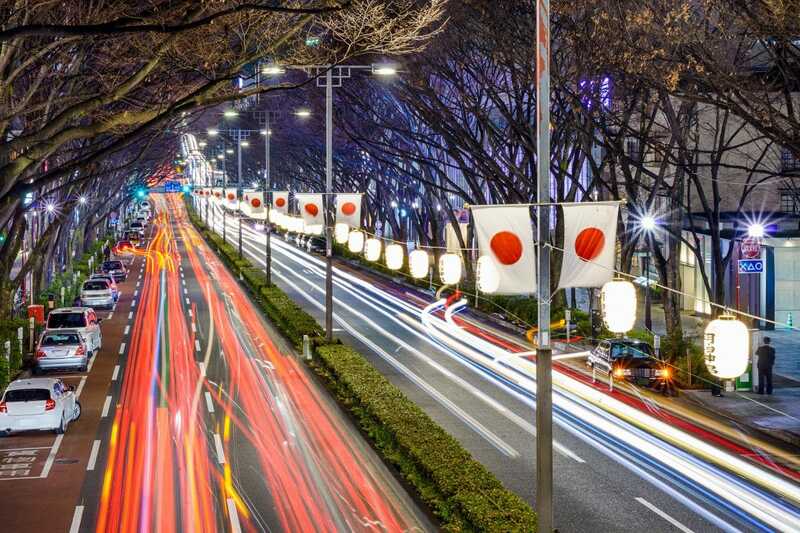 This means that Japan could increase its economic output, as measured by gross domestic product (GDP), by approximately 0.23 to 1.63 percent each year in the long term (10-12 years). For the EU, GDP increases could amount to 0.1 to 0.42 percent each year. The individual member states are supposed to benefit to significantly varying degrees. 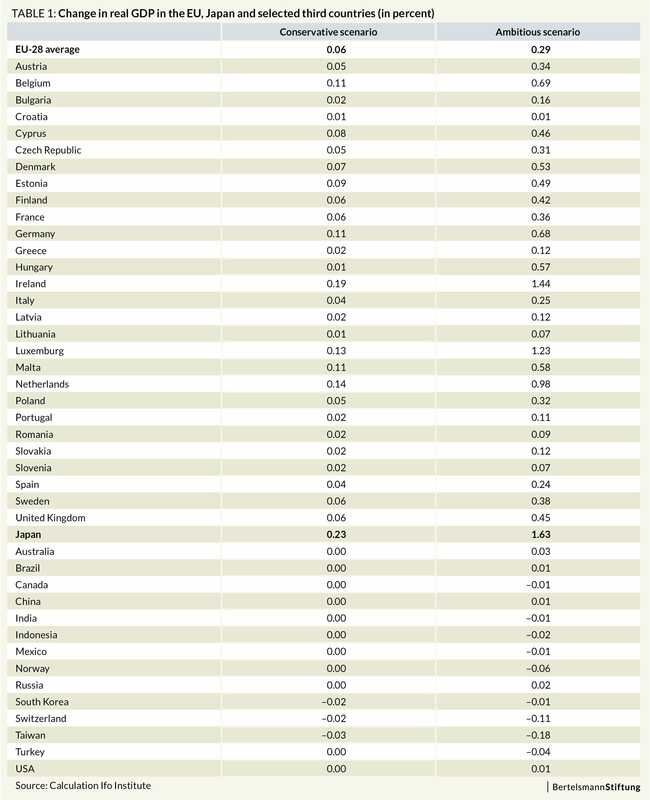 With 0.1 to 0.3 percent additional GDP growth each year – Germany could be eligible for the highest absolute increases. We expect no negative effects for any EU member state to arise from the EU Japan trade deal (table 1). The effects mentioned are long-term effects and would therefore only be observed after the free trade agreement had been in force for around 10-12 years. 1) its function as a role model: in these very difficult times for pro-free traders, two important trading powers have shown their clear commitment to economic cooperation and integration. 2) its strategic significance: JEFTA was the first big trade deal to be pushed into finalization by the withdrawal of the United States from the world trade order. CPTPP followed in its footsteps. RCEP is expected to do so in 2019. The global trade environment has changed quickly in the past two years with promising regional trade deals on the rise. This is good news for free traders. The bad news is, however, that the multilateral trade framework embodied in the World Trade Organization (WTO) is still stagnating. While it is generally good to have the above mentioned trade deals, it would be desirable to see WTO reforms move forward. As host country of the G20 summit later this year, Japan could seize this opportunity and together with the EU further push these reforms alongside its preparations for this important international event. After all, a multilateral rules-based order still is the first best option for global trade. Learn all about the effects of the proposed trade deal in our newest GED Study!